Paintballs travel pretty fast and in some instances it can hurt a little, mainly a paintball hitting your body feels like a hard pinch and goes away in a few seconds. Paintballs are biodegradable. They can be washed with simple water and soap. We do recommend you wear clothing you don’t mind getting dirty. Also try wearing long sleeve shirts and pants. And if you can wear dark colors (camouflage is best) since bright colors will give your position away! Do you provide any protection? We have vests available for rental. Vests protect your back and chest. We also have coveralls available for sale for a small fee that cover all your body and clothing. They are camouflage print so they are great for hiding. There is no true age limit in paintball. We normally don’t recommend anyone under 8 to play. We require that children under 10 be accompanied onto the playing field by an adult. Children over 10 may be dropped off at the Park to play. There is no set time for games. They can go anywhere from 5 min – 20min, depending on what game the instructor chose for you to play. In a typical day you will probably play anywhere from 5-10 games sometimes even more. It also depends how many paintballs you buy. What kind of games do we play? How long will my paintballs last me? This all depends how trigger happy you are and what kind of paintball you like playing. Tournaments players can spend 1500-3000 paintballs in a few hours! And we have seen recreational pump players use as little as 100 paintballs in a few hours. 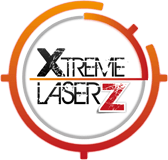 Our average recreational player will spend 500 paintballs in 2-3 hours. Once you pay your entry fee you may stay until the Park closes. Your play is limited only by your physical energy and your ammunition supply. What is a scenario game? Scenario games are special games we design to last for a full day. Normally these games have long objectives that last 1-2 hs each. All players are typically separated in 2 or 3 teams and they accumulate points as the day progresses. In scenario games we combine all playing fields, thus no private parties or paintball games will occur that day (except the paintball speedball field). These games are a ton of fun and we encourage you to try at least one if you never did! What speed can I shoot my gun? Our allowed limit is 285 fps. Can my group play by itself? Yes. For you to have a private group you must hire a private instructor for a fee. What happens if I never played before, do I have to play with advanced players? Our instructors always make sure to balance teams out. If there is a group of 20 beginners and there are say 6 advanced players our instructors will divide the group in half and put 3 good players on each side. Do we have to have an instructor with us at all times? Yes you do. For your safety we require you are with an instructor at all times. You are not required but we highly recommend it. Some days we are booked completely and if you do not have a reservation we might not have room for you or your group. We do require a deposit to make a reservation official. If you have your own equipment then you do not need to make a reservation. Click here to view our reservation policies. No you cannot! We are field paint only. Anyone caught shooting paint that is not from our facilities will be automatically dismissed from the park without a refund. I am a mom/dad, what do we do when we are there? You have several options. 1 – You can play with your son/daughter! 2 – You can borrow one of our masks and follow the group to watch them play 3 – You can hang out in the staging area with other people 4 – You can take advantage of our Parent’s lounge (TV, Wi-Fi, mini bar, couch) at no cost to you! 5 – Come in our store and buy your kids lots of things, they will love you for it and we will too! Airsoft bb’s travel pretty fast and in some instances it can hurt a little, a bb hitting your body feels like a hard pinch and goes away in a few seconds. We recommend you wear clothing you don’t mind getting dirty. Also try wearing long sleeve shirts and pants. And if you can wear dark colors (camouflage is best) since bright colors will give your position away! We have vests available for rental. We also have coveralls available for sale for a small fee that cover all your body and clothing. They are camouflage print so they are great for hiding. There is no true age limit in airsoft. We normally don’t recommend anyone under 8 to play. We do require and adult to play together with the minor if he/she is under 10. Ten and up can be dropped off at the facilities. There is no set time for games. They can go anywhere from 20 min – 1hs, depending on what game the instructor chose for you to play. Even if a game has started we can take you up in the playing field to join the game (especially if it is a long game). We have created a menu with a vast variety of games to keep things exciting at all times. 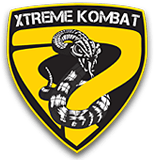 We encourage you to ask your instructor to play any specific game you like from the menu or if you come up with a cool game scheme then let him know! Click here to view our game menu. How long will my BB's last me? This all depends how trigger happy you are. Our rental guns are fully automatic and can shoot up to 10 BB’s per second! Our average recreational player will spend 1000-2000 BB’s in 2-3 hours. One you pay your park fee you can stay until park closes. There is no time limit. You are basically limited by your ammunitions. Close quarter combat (cqb) is 300 fps Woods is 350 fps. Yes you can. UNLESS you are renting our guns then you have to purchase our bb’s. Cheap bb’s will damage the guns, they tend to get stuck and will make your day miserable! 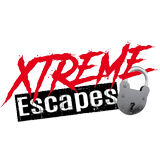 What is Xtreme Escape (XE)? 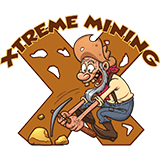 XE is an escape room venue with 2 different experiences. In each experience you will be locked inside for a designated amount of time while you and your team try to figure out how to escape. The rooms contain clues, trap doors, and hidden items. Anything that’s not glued or bolted down can be moved and may be an integral piece in your quest to escape (and survive). No, XE is an escape game and is very different than a haunted house. You will enter the room with the rest of your team, and then be given a set amount of time to solve the puzzles inside and escape. You’ll directly interact with many aspects of the environment inside, touching things, moving things, opening things, (occasionally crawling through things) etc. There are no lines to follow or set paths to traverse, just a space full of clues, items, and puzzles. 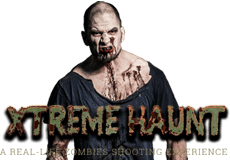 There are definitely elements of fright within each of our 2 experiences and the story line, but we wouldn’t classify this as a “scary” experience. All three of our games are 60 minutes long. After the 60 minutes you either escaped and won or you didn’t and are stuck in our rooms forever… Just kidding. No one under the age of 10 years will be admitted. 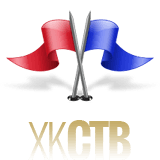 Participants 17 years or younger must be accompanied by at least one adult that is at least 21 years old, and must have a waiver signed prior to participating. We ask that you arrive at least 20 minutes prior to your scheduled ticket time in order to fill-out paperwork and listen to our tips and safety speech. DO NOT BE LATE, if you arrive late your tickets will not be refunded or rescheduled. If you need to reschedule, you MUST contact us AT LEAST 2 days (48 hours) before your reservation. If you contact us after this period, or if your booking was created within this period, we WILL NOT be able to reschedule your booking. Please be aware of this before booking your reservation with us. The Missile Bunker = Up to 2-6 people, Click here to purchase tickets and reserve your time. The Monkey Lab = Up to 2-6 people, Click here to purchase tickets and reserve your time. There is no minimum number of tickets that must be purchased, but if you purchase less than the room’s capacity, be prepared to share the room with other guests. Sharing the room can actually make the experience more fun. NOTE: Our rooms require at least 2 people. If you are alone and want to try them out. Make sure you book a spot on a room that has at least 1 reserved spot on it. In this case management may make rare exceptions, but we strongly advise against it. We could fit up to 8 people but it is more comfortable with no more than 6. If your group is 7 or 8 people we can accommodate. Please call us for reservations of 7-8 people. The escape game genre started out as a series of point-and-click computer games where players must escape from a locked area by using the environment around him/her. 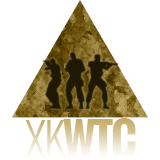 XE is a live version of this, where you must physically search the environment for items and clues that will help you escape. You are given a set amount of time to try and escape before your fate is sealed. Yes, the exit door will actually be locked immediately after the game begins. However, there will be a “panic button” near all exit door that you or any member of your team may press in case of an emergency. Hitting this button will unlock the exit door so that you can exit the room safely. No there are no actors in our rooms. Unfortunately, we have too many instances where people make reservations to pay cash at the door and are simply no call no shows. For this reason all tickets must be paid in advance. We are sorry for the inconvenience. However, if cash is you’re only option, we can accept full payment in advance in order to secure your ticket time. Please call 919-561-1116 to schedule your advance cash purchase. Can I show up and play? If you show up at our park and we have the room available then absolutely as long as we have the appropriate staff. We highly recommend you reserve and pay your tickets online. You don’t want to come up all the way up here to find out that the rooms are full. But if you do we have a great bar for you to have a snack and chill. I'm commuting 2 hours to be there, and I arrived an hour early. Is there anything else to do there? 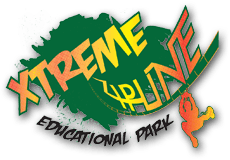 Yes, XE is part of Xtreme Park Adventures theme park. We have many activities like ziplining, ropes course, paintball and more! We have hundreds of parking spots! I can't find you guys, where are you? Our Address is 7460 Wake Forest Rd. Durham, NC 27703. We are about 3 miles from Creedmoor Rd (HWY 50) in Raleigh and about 9 miles from downtown Durham. Whether it be a Birthday, Anniversary, or Wedding Party we are certainly a fun filled destination that provides a unique thrill you just can’t get anywhere else. We have the following available as options: Private VIP area to host your party, catering, or basic food. Give us a call to book your private party today or contact us online. My business does company outings, do you offer team building exercises for company outings? We do offer Team Building services, and we’ve had some very large corporations come and benefit from the experience. Not only will it be unparalleled with respects to adrenaline pumping fun, it is also a valuable experience for comradery with coworkers, and an insightful observation of your team’s strengths. Click here for more information. Absolutely, we can always book a special time, however the minimum purchase is 1 full room. We can do this any time before or after our current schedule, or even on days closed. Please call 919-596-6100 to schedule. I purchased tickets, but I need to reschedule to a later date, how do I do that? As long as you are within the 48hs for rescheduling you can give us a call and we would gladly help you find the next available spot for you. 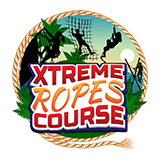 What is Xtreme Ropes Course? Is a totally unique outdoor experience. Our courses take you on a 2-3-hour journey of adventure through the forest canopy. You will navigate cool suspended obstacles leaving you feeling both accomplished and exhilarated. We start by equipping all guests with their safety gear and equipment, including harnesses, pulleys and carabineers. You will receive a comprehensive safety briefing where you are trained on how to use the equipment and course etiquette. Once you have completed the safety brief you are free to enjoy an independent and self-paced adventure. Instructors are always on hand regularly patrolling the forest if you have any questions or just need some tips on how to conquer an obstacle. Yes. You must be 48 inches tall and you must weigh under 265 lbs. 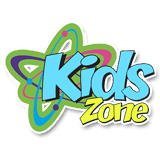 For the kidz ropes course there is no height requirement but all kids must be accompanied by an adult. We have 3 levels which get harder as you go up. You do not need to be physically fit, if you can climb a ladder you can most likely go through most of our obstacles. I have a medical condition. Can I do it? We are not doctors so we can’t tell you what you can or cannot do but we HIGHLY recommend you consult with your physician if you do have a condition (ie. Heart problems, asthma, arthritis, etc). We suggest you consult with your doctor before attending our course. More fun! We are open rain or shine so don’t be scared of some little rain. If there are heavy thunderstorms then we would take a break and then continue. Can people watch me while I am doing it? Yes, mom, dad and grandma can be at the bottom watching you pass through every obstacle and taking photos of you. CLOSED TOE AND CLOSED HEEL SHOES ARE REQUIRED. NO SANDALS, OPEN-TOED OR SLIP-ON SHOES. ALSO MAKE SURE YOU DO NOT HAVE ANY JEWLERY ON YOU SINCE IT CAN GET COUGHT UP WITH SOMETHING. AND WEAR YOUR HAIR IN A PONYTAIL. You do not have to but we recommend them. If you don’t have a pair we sell them at our shop. You should be there 20 minutes before your session starts so that you can register and get geared up. We take the safety of our guests very seriously and we ensure that everyone who comes has the training and skills to complete a course without putting themselves or anyone else in danger. For the safety of everyone on the course, we require all participants to read and sign our waiver before playing. It can take up to 3 hours depending on your abilities and speed. Do you have shelter areas, bathrooms or any other amenities? Yes we do, we have a shop with food and drinks, picnic tables, free WiFi and TV if mom if you want to wait inside. I want to celebrate my birthday there, do you have rooms? Yes we have private party rooms available for rent.